The SMOK TFV12 Prince Replacement Coils are high performance replacement coils for the TFV12 Prince Sub-Ohm Tank and continues the classic TFV8 series coil design and function. The TFV12 Prince Replacement Coils come in three types: V12 Prince-T10 coils that are 0.12 ohm decuple coils rated for 60 to 120W, V12 Prince-Q4 coils that are 0.4 ohm quadruple coils rated for 40 to 100W, and V12 Prince-X6 coils that are 0.15 ohm sextuple coils rated for 50 to 120W. NOTE: Descriptions, specifications, and claims are based on manufacturer information. 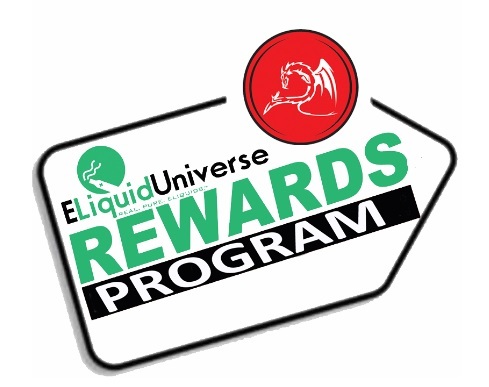 Information listed and provided are to be used at the sole discretion of the consumer and are not representative of analysis, testing, and verification by ELiquid Universe and any and all of ELiquid Universe's parent and subsidiary companies. There is an inherent risk with the use of any and all rechargeable batteries in any circumstance. ELiquid Universe™ and any and all of ELiquid Universe's™ parent and subsidiary companies are not responsible for damage if there is any modification of the batteries/chargers in any form or shape (including pack making). ELiquid Universe™ and any and all of ELiquid Universe™ parent and subsidiary companies are not responsible for any damage caused by the misuse and/or mishandling of Li-ion (Lithium-ion), LiPo (Lithium-ion Polymer) and any rechargeable batteries and chargers. ELiquid Universe™ will not be held responsible or liable for any injury, damage, or defect, permanent or temporary that may be caused by the improper use of a Li-ion (Lithium-ion), LiPo (Lithium-ion Polymer) and any rechargeable battery/batteries. Please have a basic understanding of the batteries you are using and how to care for them properly.